it's my girls' world: Goodnight moon! I'm linking up with Courtney, Ashley and some other lovely ladies to talk about bedtime for the toddlers. I have two kids, and I'm going through toddler-hood for the second time-- I'm a pro, right! Yeah, not really. 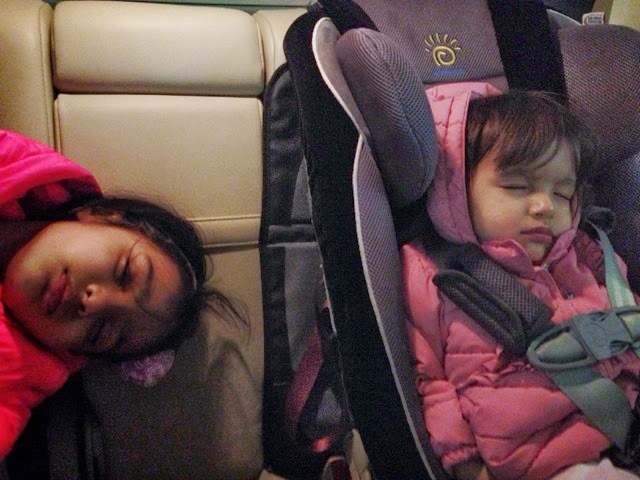 I'll skip over the first year for both kids as they were two very different sleepers. I don't really know when Cassia started sleeping through the night. This kid is my more difficult sleeper. She simply doesn't need that much sleep. Up to recently, she was either still getting up to wake us up or climb into bed with us. To add to this, she is five but still naps in school- if I let her be, I think she'll go to bed about ten! Also, she loves to have someone lie down with her to sleep. I hardly ever do it but D others are a different story! But my sweet toddler is a different story. Anjali was sleeping through the night earlier... I would say from about 5 months. We used to dream feed her and one night D and I crossed paths and both forgot to give her a bottle of pumped milk. We then realised she was sleeping through the night! Go team! Since then, she has for the most part been sleeping through the night. So here's where you stop reading, roll your eyes and think I have it easy. It has taken work. I think first of all, routine is key for us. Say it with me, routine! A nice bath (now they bathe together), snuggle time and book really works for both kids. I've done it since they were a few weeks old and it sets them up for a peaceful night. It's seriously the best baby advice I've ever received and always give to new mamas. Naps are just as important. 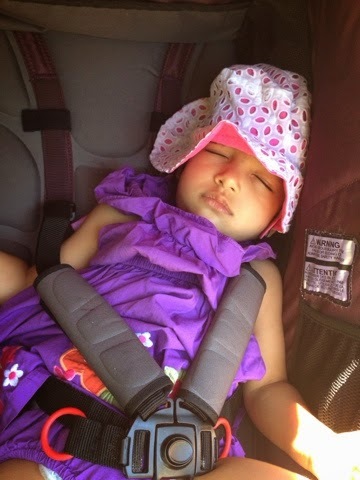 This kid will sleep virtually anywhere in her stroller. The putting them to bed though is another thing that's key and something that took a little while. 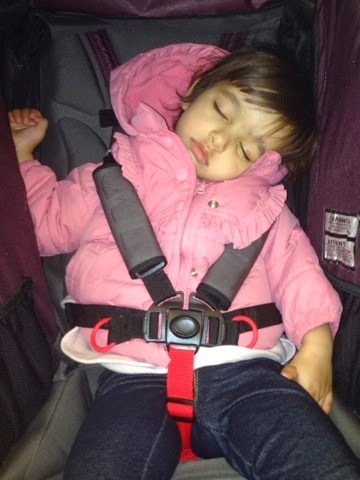 Anjali loved being rocked to sleep. We tried our best not to but then with visitors around, they loved rocking her to bed. Then, she would scream like the damn world was ending when we put her down. We picked her up, she stopped creaming, put her back, screams. Back and forth until either she cried it out or we cried it out caved and rocked her until she was in a deep slumber. What Darin came up with though (cause he has the harder heart is the firmer parent) was a firm putting down routine. First we would put Cassia far away as she's quite loud. Then either one of us would stay with her and just stand by the crib. 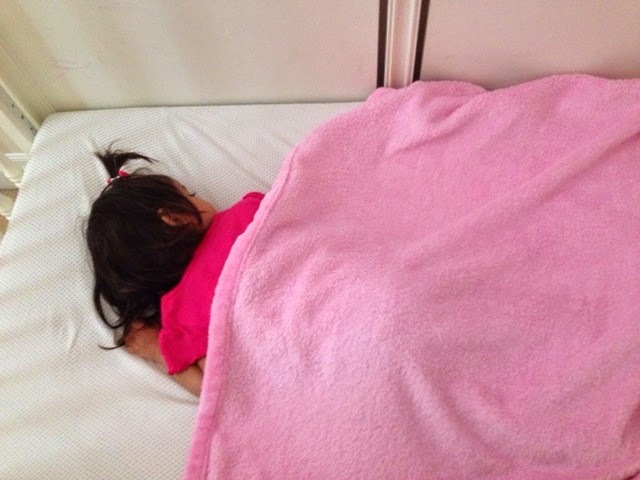 We cuddled her and then firmly just put her in the crib, patting her back gently and steadily. We then said goodnight and left the room. Initially there was lots of wailing (it breaks your heart, I know) but now it's the total opposite. We ask her if she's ready for bed. She usually says yes and then when we take her to the room, she begins to point to the crib, virtually dives down and says goodnight. It takes about ten seconds now. So my second tip- don't drag out your goodnights. 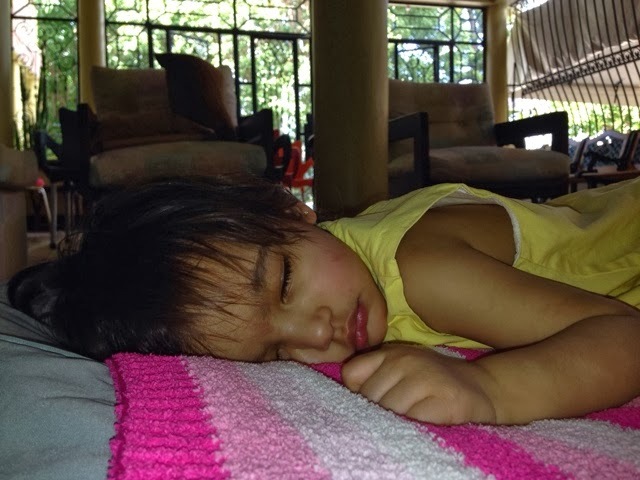 However, as much as we have it figured out, we have trouble with her when we go on vacation (yep, two months in Malaysia), have a late night or spend the night elsewhere. She's just not as happy in her crib and usually ends up sleeping with us... and that one, I don't have the answer to. But then again, we get back home and she's good again. 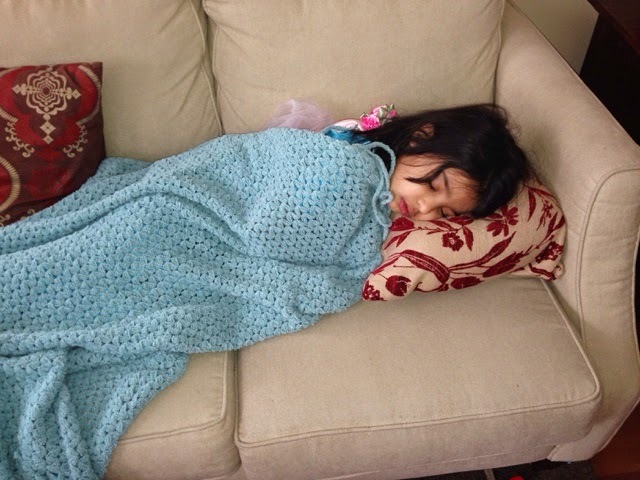 By the way, is there anything better than a picture of a sleeping child?